Scientists from the Cancer Science Institute of Singapore (CSI Singapore) at the National University of Singapore (NUS) have discovered a new molecular pathway that controls colorectal cancer development, and their exciting findings open new therapeutic opportunities. Assistant Professor Sudhakar Jha, Principal Investigator at CSI Singapore, and his team found that TIP60 protein, a known cancer suppressor for breast and colorectal tumours, works with another protein, called BRD4, to suppress the expression of a group of genes called endogenous retroviral elements (ERVs). Also known as “jumping genes” in tissues, ERVs are capable of jumping across the genome during their replication. They can alter the sequences of other genes that encode proteins, and even result in mutations or changes in the genetic sequence. ERVs can also activate tissue inflammation which supports tumour growth. TIP60 expression has been found to be greatly reduced in different tumour types, including breast, colorectal and human papillomavirus-induced cervical cancer. “In our study, we found that in tissues with lower TIP60 protein presence, the jumping gene expression is uncontrolled and these tissues can develop an inflammatory response which, in turn, can cause tumours to form.This discovery of TIP60’s association with tissue inflammation is significant because it is known that in certain cancers such as liver and colorectal cancer, inflammation of tissues predisposes individuals to the development of early stage cancer. Thus, TIP60 protein can potentially be used to silence ERV expression and, essentially,stop tumour formation,” explained Asst Prof Jha, who is also from the Department of Biochemistry under the NUS Yong Loo Lin School of Medicine. 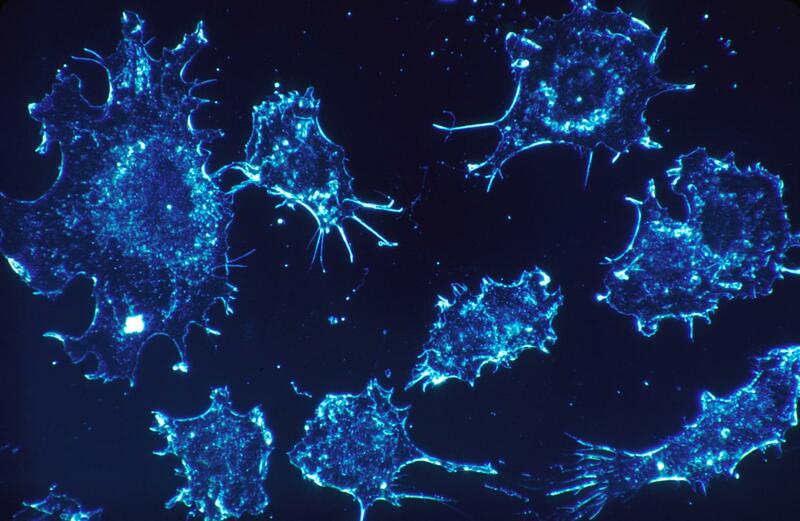 When the researchers artificially introduced TIP60 in colorectal cancer cells, a slower growth of cells that have higher TIP60 expression was observed. This is consistent with its function as a tumour suppressorthat slows down or prevents the growth of tumour cells. “We have also found that tumours where we artificially deplete TIP60 protein are more sensitive to specific drugs that are currently used against human immunodeficiency virus (HIV). This is of huge promise because these drugs have already been tested for their side effects in humans. We can look at cancer patient samples and see if they have low TIP60 levels by correlating with the expression of ERVs and inflammatory genes. In this way, we can potentially identify the cohort of patients that could benefit from this treatment,” said Dr. Deepa Rajagopalan, a Research Fellow at CSI Singapore who had carried out the research when she was a doctoral student at the Department of Biochemistry at NUS Yong Loo Lin School of Medicine. She is also the first author of the paper. The research team is currently conducting studies to verify whether this mechanism of TIP60 silencing the jumping genes is true in other cancers such as liver and breast cancers. They are also in talks with other research groups at CSI Singapore on using an optimised platform to screen drug combinations that are highly efficient in killing cancer cells. They hope to use a variety of different combinations of the anti-HIV drugs to treat colorectal cancer cells first and potentially other tumours such as breast and liver that also have low TIP60 levels. The team is also looking to investigate the efficacy of drugs that disable the function of BRD4 (the protein that works with TIP60 in tumour formation) in combination with anti-HIV drugs in tumour treatment. The team’s work and research findings were published on 24 July 2018 in the scientific journal Nucleic Acids Research.